The holidays are a fun, festive, frolicking time of year filled with parties, decorations, food, gifts, and laughter. But what should be a memory-filled calendar can turn into chaos and anxiety if you’re overwhelmed with strewn-about wrapping paper, overly tempting treats, and events on your schedule overlapping each other. If you are stressed about getting the spare room cleared out before the in-laws arrive or the kids return from college, it’s time to create a plan. Are you ready to decorate but abhor the thought of digging totes out of the rafters? Did the party you planned seem like a better idea before you sent the invites and now you’re left wondering how you will pull it off? Don’t worry, we’re here to help you take control of your schedule, your diet, and your home for a relaxing and pleasant holiday season! Here are some tips and tricks to get you on the right track. It’s easy to get wrapped up in the holiday excitement, but pause before you RSVP to the invitation or agree to bring cookies to the meeting. 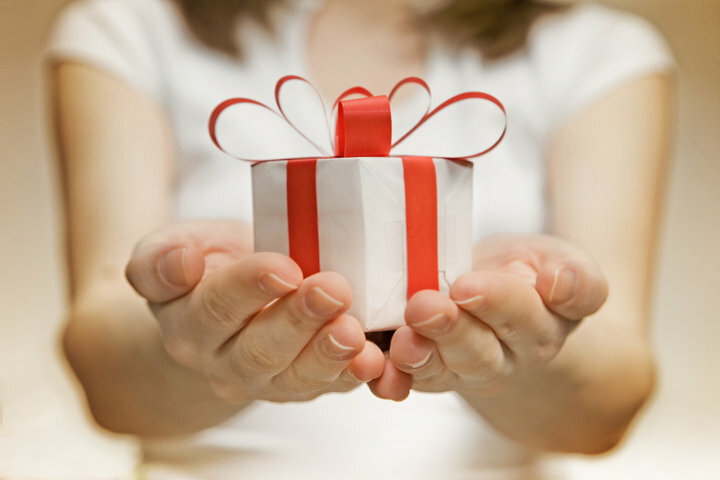 One key to staying present during the holidays is to avoid getting overscheduled. 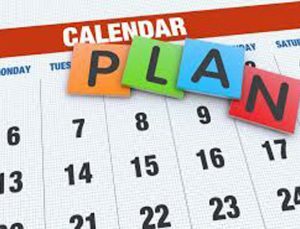 Use an electronic or paper calendar to fill in all of your upcoming obligations. Be sure to include the everyday things like kid activities, exercise, meals times, and down time. Plus, leave some blank spots. Just because you have an hour and a half, don’t try to squeeze in dinner with a friend between work and your son’s holiday band concert. Overscheduling will have you feeling rundown, set you up for illness, and strip pleasure from your days. When the teacher asks for your help in the classroom or a co-worker asks you out for a drink, check your calendar. If you have an empty agenda and the request is something you want to do, go for it. Also release yourself from unnecessary guilt. The teacher will find another parent, you can plan another time to visit outside of the office, and store-bought cookies will serve the same purpose as homemade ones. Remember that, especially during the hectic holidays, prioritizing activities is a matter of mental and physical health. Speaking of health, many people struggle with the endless borage of food-related functions that seem to begin before Halloween and last until Easter. Looking and feeling your best during the holidays means that you need to be organized. Start by looking at that calendar to see what events are coming up. Use that schedule to create a plan for success. Rather than feeling like you’ve failed yourself, take a power role. *Don’t opt in for a night out with friends during the same week as the company holiday party. *Eat before the party so you’re less tempted by high-calorie foods. *Use a plate rather than grazing. It gives you a better measurement of what you’ve eaten. *Drink water before the party to help fill your stomach and keep you from overeating. Drink water at the party to stay hydrated, especially if you drink alcohol, and drink more water after the party to rehydrate and to flush salt and toxins out of the system. *Bring a favorite, diet-conscious dish to the party so you know there is an option you will enjoy and feel good about. *Limit your alcohol consumption by cutting it out during the week or setting a responsible limit (two drinks) at the party. Some people look forward to dragging out the holiday totes and boxes, setting up decorative displays, and already have a system in place to pack them back up and store them neatly out of the way until next year. If that doesn’t describe you, it’s okay. This is the year you can get it all organized. Invest in matching totes, preferably see-through. Sort all of your decor and be sure that you only keep what you need or love. *If you haven’t used it in the past two seasons, it’s time to let it go. *Put ribbons and bows in smaller boxes to keep them from getting crushed. *Store all of your wrapping paper, gift bags, tissue paper, gift tags, wrapping tape, and a pair of scissors together. *Create a designated space for your decor totes in the garage, pantry, spare room, closet, shed, or garage. Now that you have streamlined the schedule, are feeling your best, and have your decor in order, it’s time to tackle the nagging projects like getting that spare room tidied up. *The key to minimizing stress during projects is to create a timeline. Map it out by breaking it into workable and realistic pieces. *Allow some wiggle room in the schedule so that if there is a delay you have time to recover without the entire project falling apart. For example, don’t expect a furniture delivery on a Monday if you plan to DIY new flooring over the weekend. *Recruit help when you need it. Family, friends, and neighbors might have the tool you need, a cake pan you can borrow, or a strong teen that can help you lift and move furniture. Invite a girlfriend over for dinner and an organizing session. Give the kids chore lists. Call Queen B Organizing to help you dig through the piles in the garage or spare room. The most important thing to keep in mind is that you have control over the amount of stress you pile onto yourself during the holiday. Focus on what you value most and let everything else go. Choose to spend your time in ways that bring you satisfaction and joy–making a meal from scratch, designing a homemade game to entertain the kids, taking on the role of bartender, making unique gifts for guests or hosts, or decorating for the party. Remember that it doesn’t have to fit anybody’s definition of perfect to be fun and memorable. 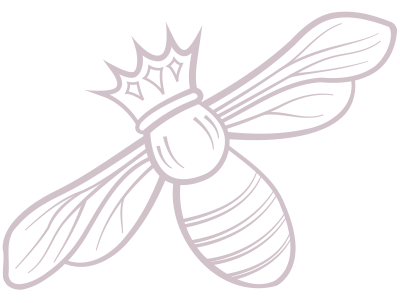 But if you need a hand to get things under control at any point along the way, the organizing bees at Queen B Organizing are here to help.